The official name of Sony's PSP successor may have been leaked prior to E3 2011. When Sony first announced the successor to the PSP, it didn't have an official name. Sony referred to what the world previously called the PSP2 as the "NGP." With E3 2011 just a hop, skip, and trip and fall away, a rumor may have revealed the system's official name before Sony planned to do so at the event. 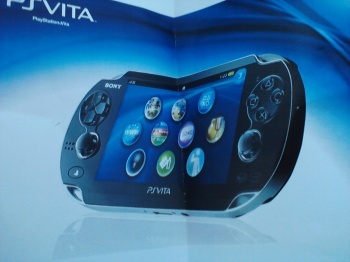 An anonymous source may have told GamesPundit that the NGP will be called the PS Vita. "Our source tells us that this will be the definite and final name of the new system Sony will bring out at the end of 2011," the site writes. Following this post, the Mega Rock Blog posted up a couple of images of unconfirmed Sony documentation on the PS Vita. They show the PS Vita logo on the handheld, but could easily be fabrications. Strangely, the Mega Rock post was removed and replaced with one that says: "A stupid mistake. This has to be one of the stupidest things I've ever done." The blog also appears to be inaccessible as of this writing, so take that as you will. In Italian, vita means "life." Vita is also said to have been a codename for the PSP2/NGP before its announcement. In my opinion, the name doesn't roll off the tongue very well, but that seems to be the case with most new products until you get used to their names. The Nintendo Wii sounds perfectly normal now, though it certainly didn't when it was announced. In any case, we may find out the truth about the NGP's final name at E3 2011, which runs from June 7-9.